How about nominating for RecFAC? The Minister for Primary Industries and Water is currently seeking nominations to fill nine vacancies for recreational fisheries representatives on the Recreational Fishery Advisory Committee (RecFAC). Tasmanians are lucky to be surrounded by a wealth of prime trout fishing destinations with both lake and river fisheries well catered for. With the 2005-06 angling season starting on Saturday 6 August, it is timely for anglers to reflect on the success of last season and begin to peruse maps in order to plan for the coming trout season. Over the past twelve months, the Inland Fisheries Service has been busy with the most intense stocking program in recent times. This has seen brown, rainbow and brook trout, in-conjunction with large Atlantic salmon, released into various waters throughout the State. The information provided below should assist both new and dedicated trout anglers to make plans for the coming season. New rules for Scalefish came into place in Tasmania on 1 November 2004. Part of the rules was Rule 73, which removed night netting for recreational fishers. Despite the fact that is was well accepted and it reduced long soak times, a practice that is seen as unsustainable, Legislative Councillor, Paul Harriss moved a motion to disallow that rule. 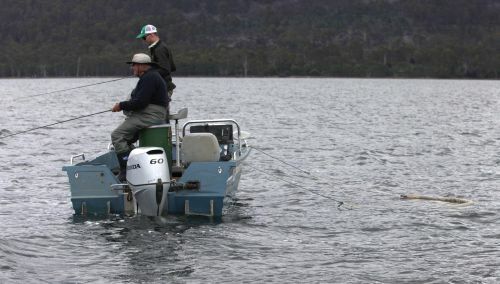 Tasmanian Fishing and Boating News lobbied hard for the rule to stay, as did many others. On June 21 2005 TARFISH Chairman, Beres Taylor briefed the Legislative Council. Below is a shortened version. It is still long, but worth reading. It has taken many years to reach this position which will improve the fishery for the long term. How Effective is the Inland Fisheries Service? For some time now a number of people involved with our recreational fisheries have been asking me my opinion of the IFS. I get the feeling that many of these people are after moral support in their opposition to current management methods and strategies. Read more: How Effective is the Inland Fisheries Service? Paul Donkers (Technical Officer-Carp Management IFS) outlines the latest progress. European carp were introduced to mainland Australia in 1872. Their adaptability and fecundity have ensured their present position as the predominant fish species in the Murray-Darling basin and many other waterways on the mainland. Inland Fisheries inspectors interviewed 3000 anglers last year. 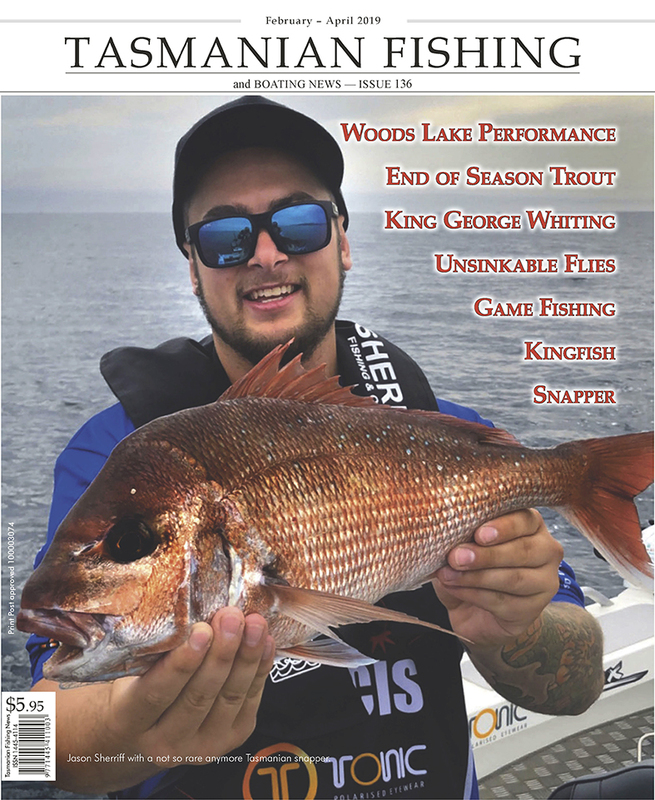 Of these 30% of anglers were bait fishing, 23% trolling, 22% spinning and 25% fly fishing, noting that some anglers use more than one method of fishing. A total of 2,028 fish were caught by these anglers; 1,714 (85%) were brown trout, 249 (12%) rainbow trout, 45 (2%) Atlantic salmon and 20 (1%) brook trout. More details will be found in the IFS Annual Report, which is out soon.